Britax B Safe Reviews – Is Best Infant Car Seat Ever? 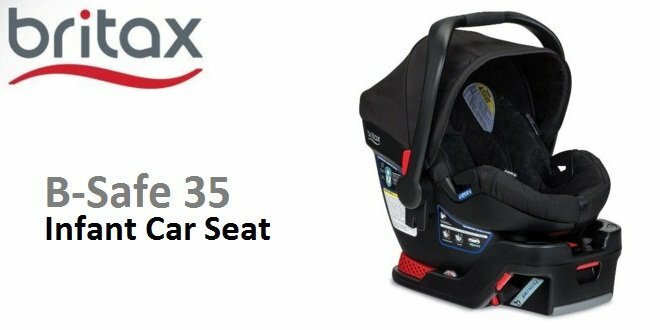 Britax B Safe 35 Reviews – Is Best Infant Car Seat Ever? The B-Safe means baby safe. This baby seat is one of the safest in the market. Britax products are tested and re-tested several times before it gets into your car. The company doesn’t compromise with safety. This brand also provides many more things than safety. The baby seat is really portable and computable. The design is pretty cool and top of that the price is also reasonable. You just can’t use the product after your child crosses the 35 lbs mark. Britax has always been a popular choice for car seat among parents. 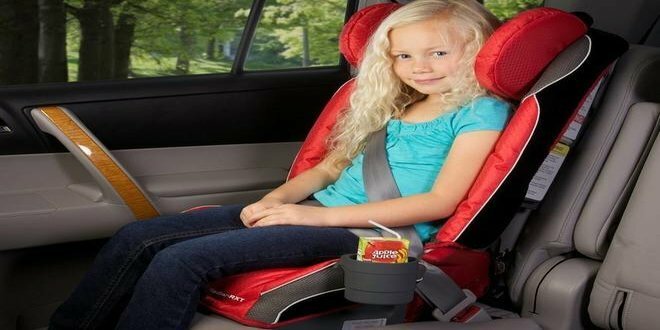 Their B Safe is one of the best car seats that you’ll find in market. If you are thinking about getting one for your baby or someone else’s it should be the right pick for you. 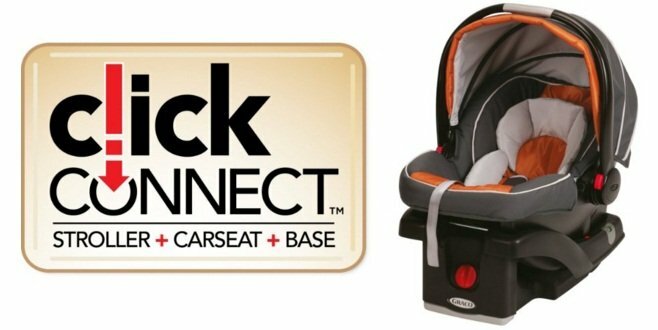 In the following Britax B-Safe review, I will put everything about the best car seat in front of you so that you can have a clear idea about the product you are buying. There are many features of a B-safe that you will love. Also, there are some things you need to know before buying the Britax B-Safe 35 baby Seat. We found this seat to be a topper in the market. So, in this review we will talk about everything about the product. Our goal is not to convince you in buying this product. That’s why we will talk about both sides of the Britax B-Safe 35 child Car Seat. We came up with this review after analyzing the product for a very long time. It’s nothing that it was written overnight. So, information you are going to get about the product is all factually true and trustworthy. For your consideration let’s divide the review section on two main categories. The first one is the general attributes of the product and the other section will be concerning various specialties of the Britax B-Safe 35 Car Seat. This safety child seat from Britax comes from USA. We’ve seen some people’s attitude towards the Chinese manufactured seats. They just can’t trust them. For parents like them this could be a great choice. The dimension of the Britax B-Safe is 26.5 by 17.8 by 25 inches. If you look closely at the number you will realize that the seat is deep and wider. You should take a note here that the seat will take a good space on your back seat. If you have more than one kid to be carried inside the cars and both of them need safety seats, this could be a little problem. The seat weights around 24.3 pound and comes with a handle. It can easily be detached from the base and carried around. Also it’s compatible with many strollers. So, you don’t have to worry about carrying your child anymore. There are lighter seats in the market. But the question is; will they provide as much safety as the B-Safe 35? This newborn seat can house babies from 4 pound to 35 pound. This is really good for an infant seat. This wide weight capacity means that you will be able to use the seat for the first day of the child and you can also use it for a longer time. The seat is a winner in this segment. Among the prominent features of this best travel car seat is the side impact production. The whole seat is as safe as mother’s womb. The padding foam is very much efficient in absorbing immense impacts. The other baby car seats aren’t this much foamed on the sides. Everything you will find in B-Safe tends to reduce your hassle to a minimum level. It comes with a five point harness what equally distributes the force to protect your precious child. This feature makes the product very much popular. And with that sustained popularity a new version of the product was introduced recently. This new version has really fulfilled the entire safety standard and became a milestone on design. Okay, you’ve learned so many common features of the Britax B-Safe 35 Seat. 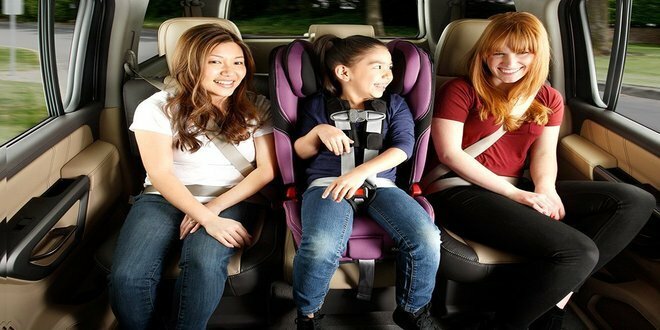 Most of the general attributes of a product are commonly shared by all the child car seats in the market. But there are some noteworthy points that you will not find that easily. The first thing in this case should be the tangle free five point harness. Trust us; it’s a simple thing and an effective thing. The tangling of harness belts gives you so much pain if you are in a hurry. This harness of the Britax Infant Seat has no such problems. The seat is adjustable from the inside too. It has two buckles points and four point harness heights. This is a necessary feature as your child won’t be of same growth during its time inside an infant seat. You have to change the heights of the belts for that. Safety isn’t the only concern for this manufacturer. Britax B-Safe 35 tends to minimize your efforts. That’s why it will help you in every possible way to strap the baby inside securely. Also you can take out the baby very easily too. The seat is suitable for newborns also. It has a child insert what will keep the child inside with enough care. It’s adjustable so that the baby can also be moved up and down as per the necessity. The covering material used in the Britax B-Safe is better than other models in the market. It shares all the other features that a baby seat fabric should have. Among those features easy cleaning, spill proofing etc were important. But apart from all those the seat has a fabric which feels great. Well, these were the features that make the Britax B-Safe 35 Infant Car Seat different and better from the other seats. Countless number of tests was done on the infant seat just to ensure the safety of the product. An impact protection technology named SafeCell was introduced to the new model. The whole seat is constructed with a special kind of foam that has a great impact absorption power. 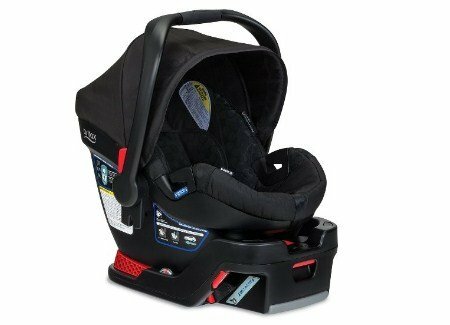 The harness of the Britax B-Safe 35 Infant Car Seat can be positioned in four different heights. It also has two buckle positions. The canopy protects your child from sun too. The whole design is so safe that your child hardly feels anything when you hit any bumps. That happiness you will see on its face will give you a kind of contentment that you have got the right product for your kid. The child insert of this seat don’t have any dedicated head support. This could be a concern for you. But you should not be too much worried as there is enough support from the sides. What we’ve found is that, there weren’t too much report about newborns safety and this headrest issue. The warning and instruction signs and stickers may not seem that much important to you but it actually is. If someone else other than you is operating the seat, he or she may not have prior knowledge about car seat installation. That’s when these instructions come handy for proper installation of the child safety seat and appropriate positioning and strapping of the child. There are enough instructions in the Britax B-Safe Car Seat which will be helpful for you or anyone else installing the seat. Like all other child safety seats, this seat comes with modern energy absorbing foam which absorbs high impact forces and helps protecting the child. You don’t have to worry about the compatibility of this baby seat. It supports almost all American car seats or vehicle seats even planes. The base can easily be set on your car seat. The upper part is also easily detachable from the base. This seat can house a wide range of babies weighing from 4-35 lbs. To meet with the demands of your modern life this infant carrier is compatible with a lot of strollers. You can take out the carrier with the push of a button and put it in a stroller. It allows you the luxury of walking around without carrying the whole case and baby. Although if you want to carry the whole set that is possible too. There’s is a handle provided with the seat so that it can easily be carried around. The result of this much compatibility is quite amazing. You get to take the car seat wherever you want. Some parents complain that the Britax B-Safe 35 is heavy. Actually it’s true. But you can’t forget that extra weight means nothing but extra protection. That’s why try a stroller instead of carrying it by hand. As it’s compatible to most of the modern strollers you won’t have to much difficulty. First of all it’s beautiful and looks really safe. The new model has a lot of graphics improvements. There are instructions all around the products. This really is helpful. The unit is really decorated and the SafeCell technology makes the quality of it unbeatable. It really raises the bar of standard high for other products. The B-Safe is also designed for long tours. Carrying it around might be a little difficult for the extra weight. But it won’t be wise to blame the weight. Because that weight of the padding provides your child’s safety. When it comes to long tours the fluffy like seats are better than those shallow and narrow compact models. Although the Britax B-Safe 35 is a great child seat but there’s a noteworthy flaw in the design. It’s only built for kids with normal or average growth. Faster growing kids may have some difficulty in finding enough room for them. The complete opposite applies for the undergrowth’s too. They will have difficulty in being inside the straps. The manufacturer should pay a little importance in this matter as all the child doesn’t grow in the same manner. Take a note here. The manufacturer won’t deal with your child’s abnormal growth. So, no return would be their policy as there’s nothing wrong with the car seat. Apart from this single issue it’s a great child safety seat. You can have the Britax B-Safe baby seat without any hesitation. Extremely safe for your child due to the SafeCell technology. Provides padding even on sideways. Can be fitted on car seats without the elite base what costs almost half the seat price. A nice and extended canopy. Weights a bit more than other product what makes it a little bit difficult to carry around. This product deserves to be in the list of top five infant car seat lists. It has achieved that position with its safety measures. I’d undoubtedly rank it as the safest product in the market. And the newest model of the B-Safe is really a charm. You have to buy the Elite B-Safe Base separately. But that will really help the whole seat to sit tight on your car seat. Ask yourself, would you compromise with the safety of your child? The answer would be a big NO. The base is designed to support the upper portion and protect it from beneath. If you are less concerned about compatibility and more concerned about safety then I’d highly recommend the Britax B-Safe 35 Infant Car Seat for you. A Professional writer, blogger and researcher - who likes to research online on different types of baby safety seat and write complete reviews on it, so that this reviews can help other parents. My Best Car Seat © 2015-2018. All Rights Reserved.